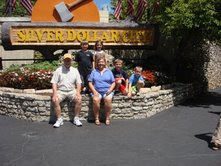 Stamps Postings: Silver Dollar City! 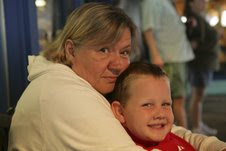 This is Granny Larson reporting for the first time on the Stamps Blog. We were blessed to be able to get our grand kids all together at one time (Abby and Reese, children of our youngest daughter Becky, Tobey, son of our son Tim, and Trevin, son of our oldest daughter, Christi) and we headed for our first ever Camp Grand! 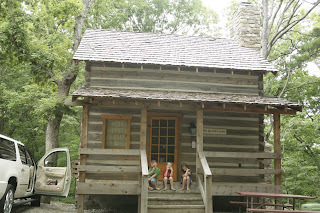 We went to Branson, MO and stayed in a log cabin which the kids thought was AWESOME! They couldn’t believe that everything in the place was made of wood! We went on a duck ride the first morning, spent the afternoon swimming, and then went to get Tobey for him to join us for the rest of the adventure. 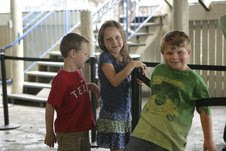 We spent Saturday evening from 6 – 10 doing nothing but riding the rides at Silver Dollar City. 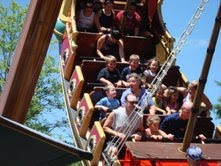 Then on Sunday we headed back to Silver Dollar City for more rides, shows and food. I will just go through some of the pictures with little blurbs about them. Enjoy, because we surely did! 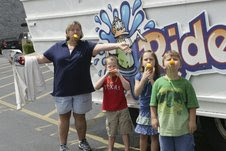 Thanks Becky, Tim and Christi for letting us have them for the weekend. 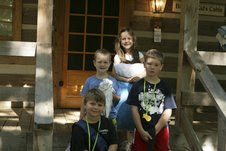 Entrance of Silver Dollar City--the adventure begins! 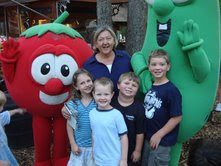 Granny and the kids with Bob and Larry! 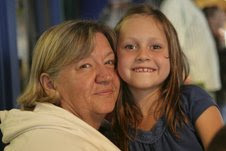 Great pic of Abby with her Granny! Looks like so much fun! !